Early pioneering record producers of African music included Nicolas Jéronimidis of the Ngoma label as well as Colin Turnbull with his amazing field recordings of Congolese pygmy music. One particular producer, however, stands out for the breadth of his work, and his name is Hugh Tracey (1903-1977). British by birth but based in South Africa, Tracey collected field recordings across sub-Saharan Africa from the 1940’s until the 1970’s. He aimed to capture the best African music he could find—whether traditional or popular—in Belgian Congo, Tanganyika and Zanzibar (now Tanzania), South Africa, Kenya, Portuguese East Africa (now Mozambique), Rwanda, Botswana, Zambia, and Malawi. He and his handful of crew traveled by truck or car, hauling recorders, microphones, food, and camping equipment for these lengthy trips. In 1954, Tracey founded the International Library of African Music (ILAM) as a repository for his extensive recordings. (How extensive? Tracey recorded over 1,000 songs over the course of a single six-month long expedition in 1950!) Over the decades, both Tracey and ILAM released portions of these archival treasures for academic as well as popular consumption throughout the world. 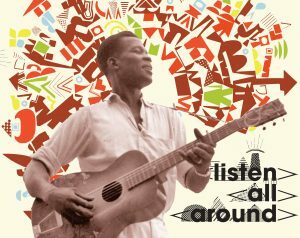 Now, the Dust to Digital team has sifted through hundreds of songs to release a terrific collection called Listen All Around: The Golden Age of Central and East African Music. The new double CD set focuses on Tracey’s field recordings from 1950-1958 of rumba music and its variations—Congolese rumba, dansi, and benga—from four central and east African countries. The comprehensive and outstanding liner notes by Alex Perullo, Professor of Anthropology and Music at Bryant University, provide fascinating historical background to appreciate the collection. We read about the social factors driving musical change during this “golden age” of African music. For instance, the popularity of gramophone records in central and eastern Africa starting in the early 1900’s helped to spread different musical genres from Europe, America, and Latin America. In particular, the rise of rumba in Africa can be traced to Cuban music released on G.V. (Global Voice) records. These 78 rpm recordings from the U.K. conglomerate HMV (His Master’s Voice) arrived on African shores beginning in 1933 with the massive Cuban hit, Don Azpiazú’s “El Manicero” (The Peanut Vendor), imprinting African popular music with the 2/3 and 3/2 clave rhythm ubiquitous in Cuban music. We learn that over one million African men from the various colonies fought in World War II. 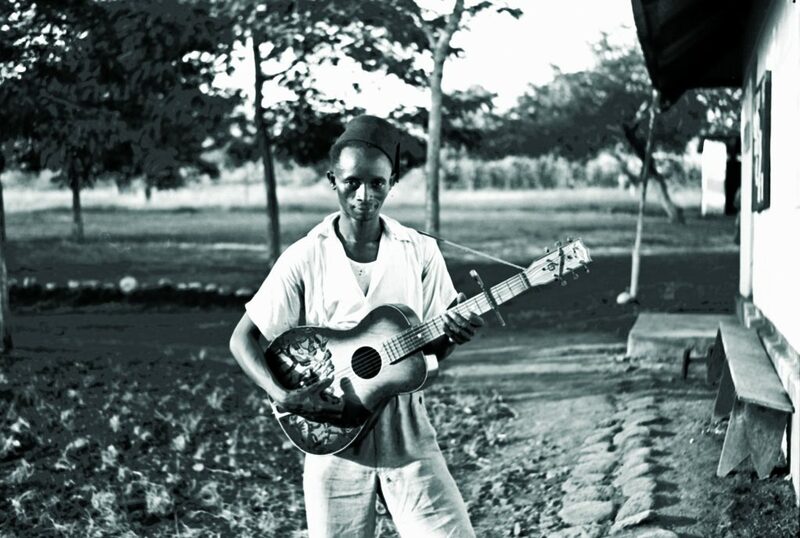 The soldiers were exposed to Western music of all types, from European march and dance music, to jazz, country-western, and even Hawaiian music—the latter introducing African musicians to the twang of the bottleneck guitar. They would bring new songs and instruments back home with them. The guitar would become quite popular due to its portability and affordability. 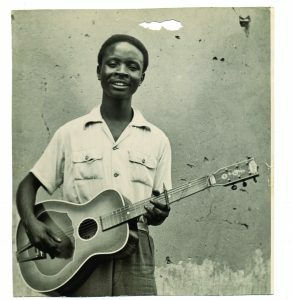 The South African-made Champion guitar often featured images of cowboys or jazz musicians on the body, as can be seen in many photographs taken by Tracey from the era. Perullo also touches on the roles played by the BBC and the Voice of America (VOA) in introducing other kinds of music into Africa. The BBC, beginning with its Empire Service in 1932, would broadcast British ballroom dance and folk music. After World War II, the VOA radio broadcasts used musical diplomacy to promote democracy and freedom in Africa. One of the largest VOA transmitters was located in Gibraltar and the signal reached all across Africa. The Voice of America Jazz Hour, hosted by Willis Conover, broadcast two hours nightly of the latest American jazz, heard not only in Africa, but throughout the Eastern bloc and the Soviet Union. The VOA’s broadcasts brought many types of music to Africa and influenced a generation of young musicians. American hits songs would become popular in Nairobi and Dar es Salaam. Listen All Around features 47 newly-transferred and remastered popular rumba songs in which the influence of various foreign musical genres can be heard—the Cuban son, European ballroom, American jazz. The collection transports the listener like a time machine to an era over 60 years ago, with music that pre-dates juju, afrobeat, soukous, mbalax and other modern styles. This older, sweeter music still sounds fresh, however, and viewed through today’s lens, it also seems so innocent. There are love songs (“How Sweet is Our Love”), food songs (“Candy and Okra”), music commentary (“I Can’t Give up Rumba”), daily observation (“Stanleyville is Dusty”), and lullabies (“Time Has Come to Sleep”). 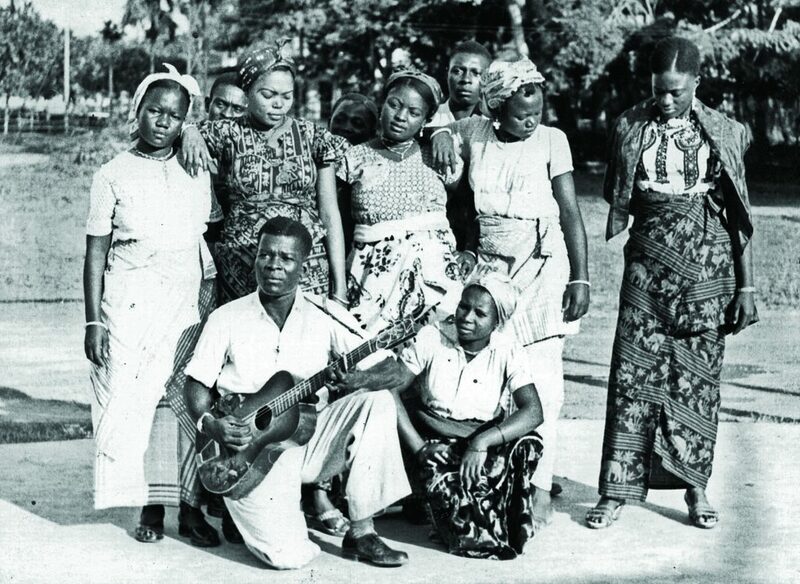 The performers—all very popular at the time—include the Coast Social Orchestra, Dar es Salaam Jazz Band, Mwenda Jean Bosco, Merry Blackbirds, Katanga Dance Orchestra, and more. An accompanying 84-page hardcover booklet is filled with photos and commentary on all the songs. The archival photographs plus the historical context provided by the liner notes combine to paint an indelible portrait of the time. We should all be grateful that Dust to Digital has done the heavy lifting to produce this beautifully packaged collection.